Based on the HVJB range but suitable for up to 15kV, the ABJB can accept up to 4 phase connections either straight through or bottom entry only. 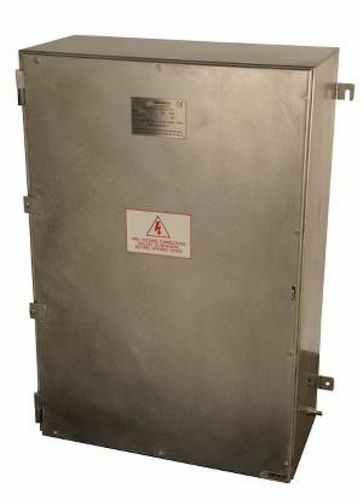 Fully ATEX compliant, the enclosure comes in two sizes (650 x 950 x 300mm and 800 x 1250 x 300mm) and can accommodate up to three connectors per phase. The ABJB range is suitable for up to 15kV and 980A and features a 45kA for one second fault rating. The standard ABJB enclosure is manufactured from 316L stainless steel (EN 1.4404) with a silicon gasket and stainless steel fasteners. The enclosure also features heavy duty machined hinges with lift off cover pad-lockable cover. It has an orbital finish but painted and electro-polished options also available.